Researchers at the University of Minnesota, Twin Cities have created a new lab-grown blood vessel replacement that is composed completely of biological materials, yet contains no living cells at implantation. It is the first-of-its-kind nonsynthetic, decellularized graft that becomes repopulated with the recipient’s own cells after implanted. This discovery could help tens of thousands of kidney dialysis patients each year. It could also be adapted for use as coronary and peripheral bypass blood vessels and tubular heart valves in the future. More than 400,000 Americans with kidney disease are currently treated with life-saving hemodialysis according to the U.S. Renal Data System Annual Data Report. Blood vessel access for dialysis is usually accomplished through an arteriovenous fistula that connects an artery to a vein in the arm. However, 30-50 percent of patients experience complications that require the insertion of an artificial tube, called an arteriovenous graft. These artificial grafts are made of synthetic materials that are prone to clotting, infection and other complications. Researchers at U of M's Department of Biomedical Engineering led by Professor Robert Tranquillo are growing grafts in the lab from cells and biological materials that could cause far fewer adverse reactions. In the past, scientists have attempted to use living tissues, but they aren’t stable for long-term storage and can cause an immune response unless the patient’s own cells are used. In this pre-clinical study, UMinn researchers generated vessel-like tubes in the lab from post-natal human skin cells. These cells were then embedded in a gel-like material made of cow fibrin. 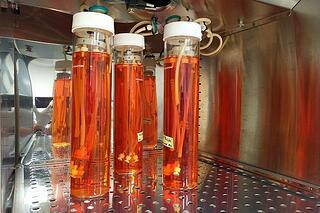 Researchers put the cell-populated gel in a bioreactor and grew the tube for seven weeks. The cells were then washed away over the final week, leaving behind the collagen and other proteins secreted by the cells--thus creating an all-natural, but non-living tube for implantation. To test the vessels, the researchers implanted the 5 inch lab-grown grafts into adult baboons. Six months after implantation, the grafts grossly appeared like a blood vessel and the researchers observed healthy cells from the recipients taking up residence within the walls of the tubes. The implants showed no immune response and were resistant to infection. They also withstood almost 30 times the average human blood pressure without bursting. Additionally, these grafts withstood repeated needle punctures by self-healing, which would be necessary for use in patients undergoing long-term dialysis. Besides the potential for use in dialysis, Tranquillo and him team are planning to move ahead with research into the grafts potential cardiac uses. With the success of this study, they will be seeking FDA approval for clinical trials in children with pediatric heart defects since this material is capable of growing. To date, for 2017 The University of Minnesota has been awarded over $200 million in research funding from the National Institute of Health. 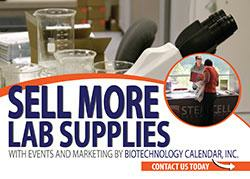 U of M spends more than $870 million on research annually. Since 2005-2006, the university’s Department of Biomedical Engineering full-time faculty size has increased from 6 to 16. The faculty’s research expenditures and publications per year have increased more than 100%. 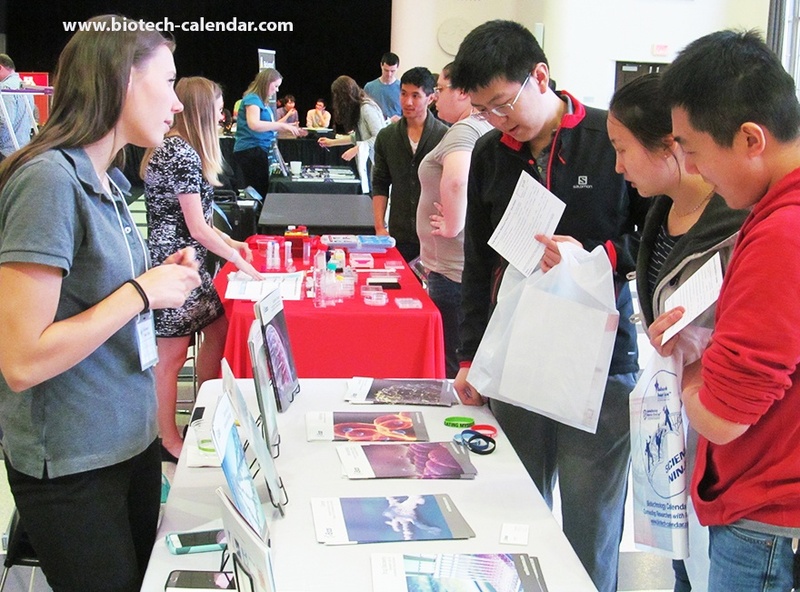 Those wishing to sell lab equipment and supplies to these well funded researchers, should plan on attending the 18th Annual BioResearch Product Faire™ event at the University of Minnesota. This event will be held on Thursday, May 3th, 2018. It is an excellent opportunity to meet face to face with the U of M scientist and discuss their needs and educate them about your products. 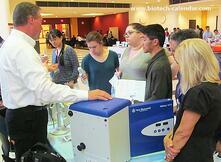 Life science professionals are invited to attend this on campus bioresearch product faire for free. Click the button below for additional information or to pre-register.